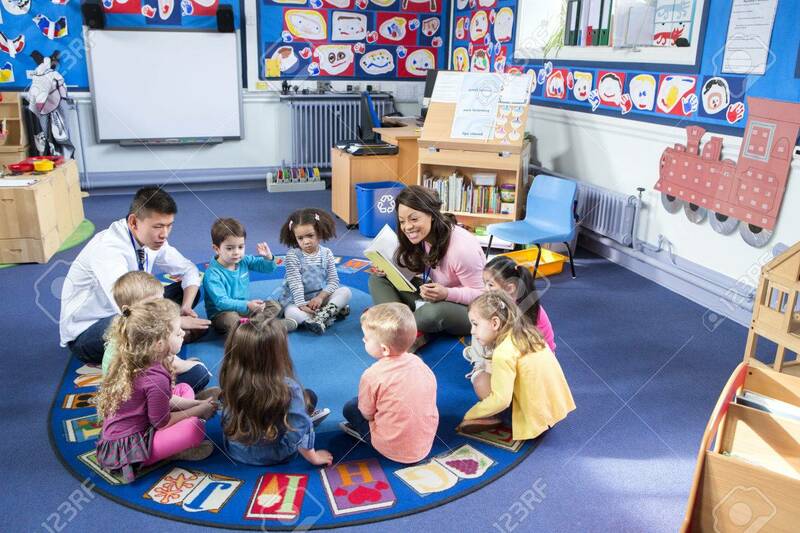 Group Of Nursery Children Sitting On The Floor In Their Classroom With Their Teachers. The Female Teacher Is Reading From A Book. Royalty Free Fotografie A Reklamní Fotografie. Image 60481865. Reklamní fotografie - Group of nursery children sitting on the floor in their classroom with their teachers. The female teacher is reading from a book. Group of nursery children sitting on the floor in their classroom with their teachers. The female teacher is reading from a book.